Backup Wolf has been scanned by multiple independent organizations and has been certified clean from any spyware or viruses. We also do not collect or transmit any information from you in the software. 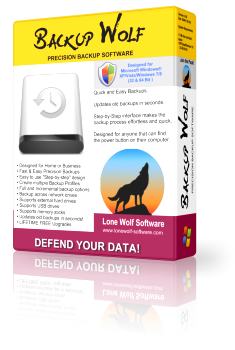 Backup Wolf is available on CDROM.